Yung Yip is a Twin Cities based diver and underwater photographer who seeks out new dive experiences, especially ones that offer a pristine environment or the opportunity for large animal encounters. 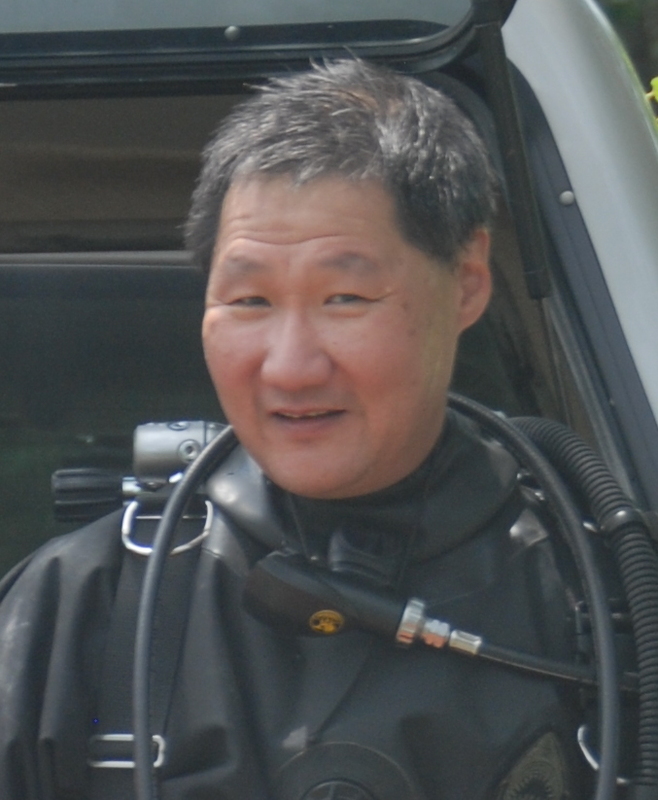 His diving interests range from the coral reefs of South East Asia to the cold, deep wrecks of Lake Superior. During his years of diving, perception of sharks has shifted from loathsome man-eater into that of a majestic animal to encounter and behold. During this talk, Yung will share images and experiences encountered in his pursuit to photograph sharks in some of the hotspots of shark diving around the world. When not taking pictures underwater, Yung is a consulting research engineer. Sharks have long been integral to human association with the ocean. Historically, they have been portrayed as villains preying upon souls lost at sea, a menace to those who venture into the water for work or play, and a creature to be loathed and feared. In more recent times, the image of sharks has been evolving into that of a critical member in the marine ecosystem – one that does not consume people as part of its food chain. Sharks are in dire need of conservation and, for us who like to venture beneath the waves, a magnificent creature to encounter and behold. Shark diving is an important educational and economic conduit for marine conservation and has become a major venue in dive travel itineraries. This presentation will highlight some of the premier shark dives around the world, including Cocos Island, the Galapagos Islands, the Bahamas, and Fiji. It will provide the audience with a sense of expectations for what species might be encountered at the various locales and how the dives are conducted. It will also compare the merits of baited vs. un-baited shark dives and include some pointers for shark photography.